CALL US NOW if your lawn looks like this! The fungus is among us! 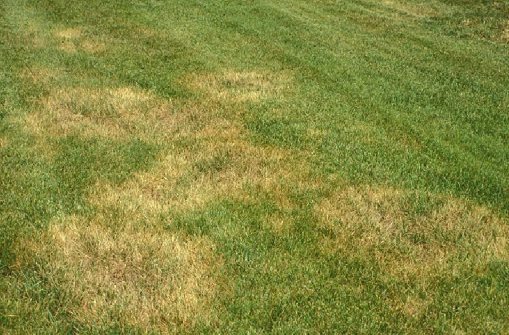 Brown Patch is a fungal disease that is most common in tall fescue in this area. This fungus is soil born, so it stays in the soil and becomes active when conditions are right, such as hot, humid weather, day time temperatures of around 90 degrees, and night time temperatures of around 70 degrees. DO NOT WATER AT NIGHT! It’s best to water only in the morning so the blades of grass are wet for only a short period of time. We can help by applying a fungicide to the turf, but contact us now at 615.269.7706 or by email at support@turfmanagersllc.com as soon as you become concerned. Brown Patch is a silent killer, moves VERY fast, and application timing is everything. If you were referred to us by a friend, please let us know their name so we can pass along our thanks! Next StoryHappy 4th of July!